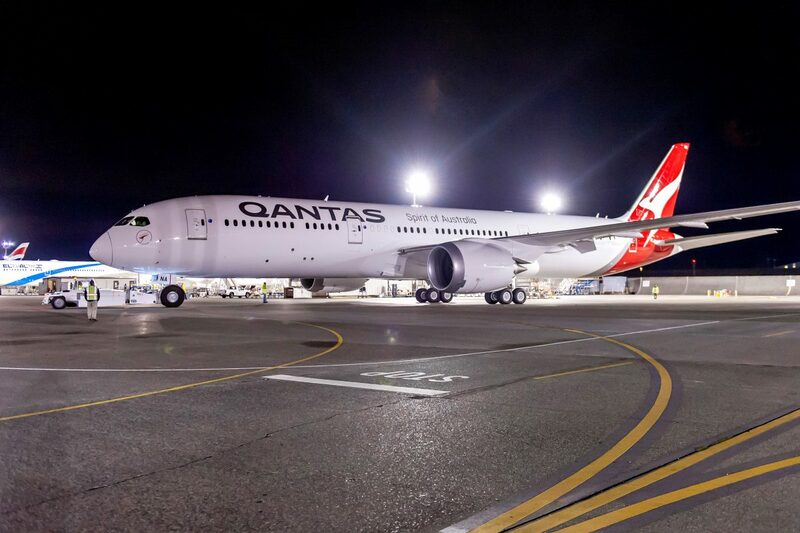 The Australian airline Qantas is celebrating a year of operating the direct non-stop Perth - London route, with a special long-range Boeing 787 Dreamliner. The introduction of the non-stop direct service has gained the airline over $100 million of free publicity - which is rather amazing, although not surprising considering the global coverage the opening of the route got. Independent analysis by Deloitte Access Economics also indicates that 60% of passengers on the Boeing 787 service are Australian, UK passengers made up 31% of the loads. The leading Australian airline says it has seen a 30% increase in the number of passengers travelling between Australia and London via Perth. 71% of international visitors on the route choosing to stopover in Perth, helped to drive more than 1 million visitor nights spent in Western Australia. The new service is also said to be attracting people from other parts of Australia to Perth to join the service, with average outbound passengers made up of 25% from Melbourne, 7 % from Sydney, 6 % from Brisbane and 4 % from Adelaide. Although this is perhaps more to do with the way Qantas distribution networks display, lead and direct to connections via the Perth service. It could also be due to Qantas involuntary schedule changing passengers onto the direct Perth London flight, as they did with the inaugural flights, to ensure full loads. The Qantas CEO Mr Alan Joyce said "There were a lot of expectations around this flight, both within Qantas and the broader community, and frankly it’s exceeded them. A year of operating this route shows that a hub in WA connecting Australia to the world works really well. We have people coming from the east coast to join the flight and it’s made it a lot easier for people in Europe to visit Australia. "Almost every flight is full and it turned a profit almost immediately, which is rare for new services because they have start up costs and it normally takes time to build demand. The work we put into managing passenger jetlag and designing a comfortable cabin has paid off. It’s the longest flight on our entire network but it has the highest level of customer satisfaction." The Qantas boss said there had been a few surprises, "The yoga studio in our new Perth lounge has been used by more than 80 per cent of passengers, which is a lot more than we expected." "We didn’t plan to regularly break speed records in both directions. The current title holder arrived into Perth from London a full hour ahead of schedule thanks to prevailing winds and our new flight planning system. "Despite all the complicated logistics and technical challenges, there have been only been four cancelled flights out of 720 planned services for a reliability rating of 99.5 per cent. That’s a credit to the literally hundreds of Qantas people behind the scenes involved in making everything work smoothly."